The award, co-ordinated by the Fondation nationale pour l’enseignement de la gestion des entreprises (FNEGE), in collaboration with the European Foundation for Management Development (EFMD), is presented annually in all management disciplines, from marketing to finance, accounting/control, human resources management, strategic management, information systems, entrepreneurship, logistics and more. 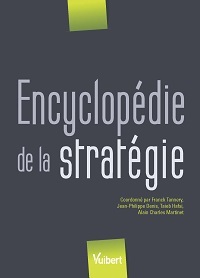 The winning publication offers a complete overview of current knowledge in the area of organizational strategy. Here, organizations are understood in the broadest sense and include companies, associations, public organizations, etc. While it is arranged like a traditional encyclopedia, the publication also addresses various new topics that are rarely covered in much depth in textbooks. Congratulations to all the collaborators! *Line Bonneau, Patrick Cohendet, Nolywé Delannon, Christiane Demers, Pascal Gaudron, Réal Labelle, Anne Langley, Marie-Claire Malo, Emmanuel Raufflet, Linda Rouleau, Laurent Simon, Sylvie St-Onge and Martine Vézina.